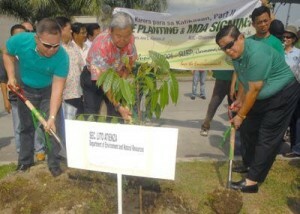 Environment and Natural Resources Secretary Lito Atienza is encouraging the public to go “green” this holiday season. “With Christmas and New Year fast approaching, what better way to spend the holiday but with our family and friends. But in the midst of our celebrations, let us not forget the main reason of our rejoicing – our savior Jesus. Christmas symbolizes God’s love for mankind by the incarnation of Jesus Christ and saving the world from sins,” Lito Atienza said. Included in God’s noblest love for mankind, Lito Atienza continued, is His provision of this habitable earth and everything in it for humanity to enjoy. In turn, however, Atienza stressed man’s duty to keep the earth livable by keeping the environment healthy and clean. 1. Minimize the use of gift wrappers. Since gift-giving is a tradition that Filipinos continue to observe whatever the circumstances they’re into, it is important to keep our gift wrapping to the minimum. “Lavish wrapping is no longer “in” as it consumes a lot of our natural resources, such as the trees, from which we make paper and other trimmings. It also generates garbage,” Atienza said. 2. Recycle or re-use boxes or gift wrappers. “What’s important is the thought that we are giving to others. Christmas is giving and sharing of ourselves because of our love for God who first gave us His eternal love, and Mother Earth,” he added. 3. Promote the use of washable and re-usable food containers, plates, forks and spoons, etc. With the inevitable need for food containers for parties and get-togethers, it is wiser to use washable food containers and other utensils for small family reunions. For big parties, don’t just throw discards as these can be used later, such as unused paper plates, washable plastic spoon and fork. Tin cans for soft drinks are also recyclable. containers. Instead, he is encouraging the use of banana leaves and other natural products which are both earth-friendly and non-toxic. 5. Give unspoiled food wastes to pets or turn them into compost for the garden lovers. 6. Start an advocacy campaign about solid waste management, particularly waste segregation at source, during family or school reunions which will eventually have a snowball effect. Atienza said it is important that people are informed of the magnitude of the garbage problem facing not only Metro Manila but all other urban centers in the country. DENR records showed that about 6,700 tons of garbage are being generated in the national capital region every day but only approximately 10% are being recycled or composted. The remaining 90% goes straight to dump sites, rivers, streets and backyards. “From the statistics, and from what we saw after the onslaught of typhoon “Ondoy” we can say that we are already a country of garbage. If we do not start being more responsible now with our own garbage, there is no way we could prevent being flooded every time it rains,” Atienza said. For the New Year, Lito Atienza is encouraging the public to refrain from lighting fire crackers as these are dangerous not only to public health but also to the environment. “While the past years saw an improving air quality in Metro Manila, it is not yet ideal. We still have to do more, and one way where everyone can share in the effort is to refrain from lighting a fire cracker this New Year,” Atienza explained. Is Esperion Therapeutics Inc. a Acquire on the Swim? DAGUPAN CITY—Faced with the enormous task of having to pump out floodwaters and rebuild roads and bridges, President Gloria Macapagal-Arroyo has formed a body to do a postmortem on Tropical Storms “Ondoy” and “Pepeng” and seek aid to rehabilitate the country. The Special National Public-Private Sector Reconstruction Commission will also undertake a rehabilitation plan for wrecked infrastructure, Ms Arroyo said. “This is going to be chaired by a business leader and Manny V. Pangilinan (MVP) has agreed to chair this commission,” she said at a meeting of the National Disaster Coordinating Council and the Cabinet at the Dagupan West Central School. The commission will be co-chaired by Finance Secretary Margarito Teves and Cebu Archbishop Ricardo Cardinal Vidal, the President said. The commission’s other main task is to seek fresh aid to fund the reconstruction of roads, bridges and expressways damaged by flooding and landslides, she said. “We want to raise more grants rather than more loans because we still don’t have a good debt-to-GDP (gross domestic product) ratio,” she said. After Ondoy dumped rain that inundated Metro Manila and nearby provinces, Pepeng (international codename: Parma), which first entered the country as a typhoon and exited after making landfall for the third time as a depression, pummeled northern Luzon, triggering massive flooding and landslides. The two weather disturbances left more than 600 people dead, and damage to infrastructure and agriculture estimated at close to P30 billion, according to the Office of Civil Defense. The government has come under a storm of criticism over its slow and inadequate response to Ondoy, and has been asked to do a postmortem on the shortcomings of its rescue operations. The commission is also tasked with prioritizing programs and their implementation, serving as a clearing house for international assistance, and requesting the United Nations and the World Bank to coordinate an international pledging session, according to Ms Arroyo. The National Economic and Development Authority and Office of Civil Defense will serve as its secretariat, she added. It was Albay Gov. Joey Salceda, an economic adviser to Ms Arroyo, who proposed the creation of the commission. “Given the impact of the global crisis on our fiscal capacity versus the magnitude of calamity impact, the Philippines should seek fresh aid amounting to $1 billion to fund reconstruction,” Salceda said. He said the special commission would operate like the Coordinating Council for the Philippine Assistance Plan (CCPAP) first headed by businessman Roberto Villanueva of AG&P Inc. The CCPAP has since evolved into the Coordinating Council for Private Sector Participation, which operates the Build Operate Transfer Center under the Department of Trade and Industry. Teves, for his part, asked the Department of Justice if it were possible to exempt foreign aid meant for rehabilitation projects from the election ban so as to accelerate the completion of the projects. “Can we kindly check with (Justice Secretary) Agnes Devanadera in the law whether we can allow the fund we receive from the donor community to fund rehabilitation to be exempted from the election ban?” he said at the meeting. After relief and rehabilitation operations, the next tough task for the government would be draining the weeks-long floodwaters in some areas in Metro Manila, Rizal, Laguna and other provinces. Find the Best Alabama Crimson Tide football tickets, events here. We carry all Alabama Crimson Tide tickets, at football tickets, the leader in football Tickets. Public Works Secretary Hermogenes Ebdane Jr. reported that a dike along the Manggahan Floodway, measuring 120 meters long and 5 meters high, had been completed despite an initial opposition from 14 families of informal settlers. Informal settlers living along the waterway have been blamed for its clogging. The waterway drains into the Laguna Lake. Ms Arroyo then recalled that architect Felino “Jun” Palafox had mentioned the 1977 master plan for the metropolis. “Jun Palafox raised to us that during Marcos’ time there was a master plan for the NCR in 1977. Let’s look at it, and start from there,” she said, stressing that the architect would be invited as a speaker at the next meeting. MANILA, Philippines—The Laguna Lake Development Authority (LLDA) on Friday recommended the “forced relocation” of some 100,000 people living around the still rain-bloated Laguna de Bay. In a press briefing, LLDA General Manager Ed Manda said residents in wetland areas of Taytay, Cainta, Pasig, Taguig and Muntinlupa must be relocated before typhoon Pepeng (international codename: Parma) hits land. Many low-lying areas around the 94-square-kilometer lake remain under water after tropical storm Ondoy (international codename: Ketsana) dumped unusually high amounts of rainfall over the weekend. Manda said the current water level of Laguna Lake has reached 14 to 14.5 meters above the lakebed. “It will take at least three months for the flood waters in these areas to subside,” he said. This water level was last recorded in 1919 and if Pepeng brings even half the amount of rainfall Ondoy brought, this record would be broken, Manda said. “The 100 year cycle has been shortened because of climate change,” Manda said. His warning came as millions of Filipinos were struggling to recover from Ondoy, which killed at least 293 people as it pounded Metro Manila and surrounding areas with the worst flooding in four decades Texas School Triples Recess Time And Sees Immediate Positive Results In Kids . More than three million people were affected by Ondoy, which dumped more than a month’s worth of rains in just nine hours on Saturday. Find the Best Alabama Crimson Tide football tickets, events here. We carry all Alabama Crimson Tide tickets, at football tickets, the leader in football Tickets. Pepeng, packing maximum winds of 195 kilometers per hour and gusts of 230 kilometers per hour, was approaching the northern Philippine province of Aurora and its effects could be felt by dawn Saturday. Manda also noted that illegal settlers have set up shanties blocking the waterways leading to Laguna Lake. This, he said, causes floodwaters to be trapped in Cainta and Pasig. Manda said flooding in Metro Manila, and in the Rizal towns of Taytay and Cainta triggered is a warning that now is the “proper time” to implement forced relocation. Admitting that the LLDA is a “toothless tiger,” Manda said Defense Secretary Gilberto Teodoro, Jr. has committed the military and will ask the Metro Manila Development Authority to implement the forced relocation of residents in those areas Rap Artist Nelly Has Sent 2 Kids To College Every Year For The Past 10 Years . He added that Vice President Noli De Castro of the National Housing Development was eyeing a property in San Miguel, Bulacan as a possible permanent relocation site for those who would be transferred. In the meantime, Manda advised residents still living in these areas to immediately evacuate. “Save whatever you can, save your lives, save whatever properties you can and go to evacuation centers,” Manda said. It is also fairly easy to copy his type in spite of the royal blood flowing in his veins, the little boy who is celebrating his 3rd birthday is dressed with outfits instead reasonably priced.Dungarees Petit Bateau salopette Homework is wrecking our kids . George went into the greenhouse of the Natural Historical past Museum with her mothers and fathers, wearing a striped Petit Bateau blue overalls. It is now again offered at a price tag of forty nine euros. When you are getting ready for a family trip baby Car Seats, there is a lot of preparation to do. One of the most important things to think about, is kids clothes. Packing for your kids clothes can be a difficult task, it is hard to know what are the must-pack clothes, what are the most essentials and what not. Packing clothes for your kids will make your trip a successful one. 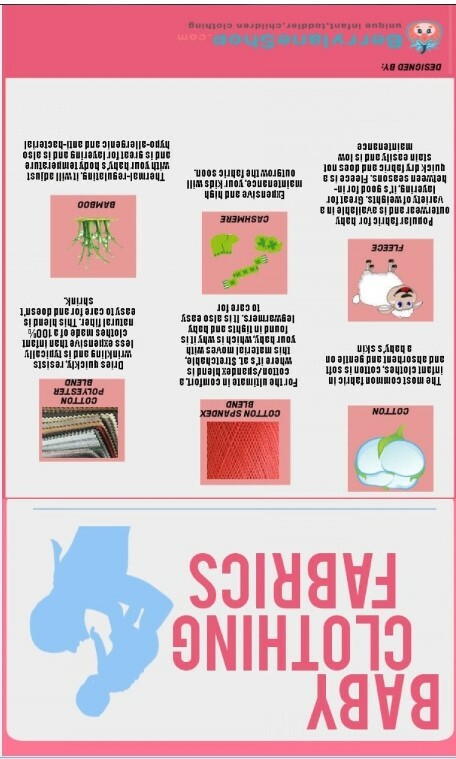 Here are some tips to help you pack the most essential clothes for your kids kids clothing boys shorts.